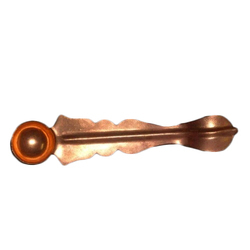 Our company has created a niche in the field of offering Copper Ritual Spoon. We are highly acknowledged organization engaged in presenting remarkable range of Copper Spoon. Spoons made of copper. Perfect aid for coooking in Copper Kadahi. 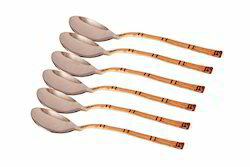 Owing to devoted experts, we have been competent to present a wide range ofCopper Steel Spoons Fork Set.